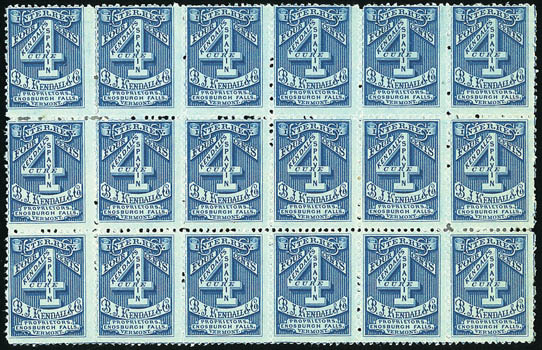 Kendall & Co., 4¢ blue, watermarked USIR, block of 18, full o.g. with a few reinforced perfs, fresh with rich color, F.-V.F., ex-Joyce. Scott No. RS154d $630 for singles. This block was originally the right portion of a block of 27 and still may be the largest known multiple of this issue.